Surprise! While I've been MIA for the past few weeks, I've also been (and still am) pregnant! Georgia will be a big sis this July. Apparently I have a thing for July babies?! Baby #2 is due a few weeks before G turns 2! We are overwhelmed, excited and feeling so unbelievably blessed. Unfortunately a lot of this first trimester has been spent hovering over a toilet as I've been kinda sick, and exhausted (chasing after a toddler probably adds to that! ), but I know it will all be so very worth it and I cannot wait to meet my sweet baby. I love him/her so much already. 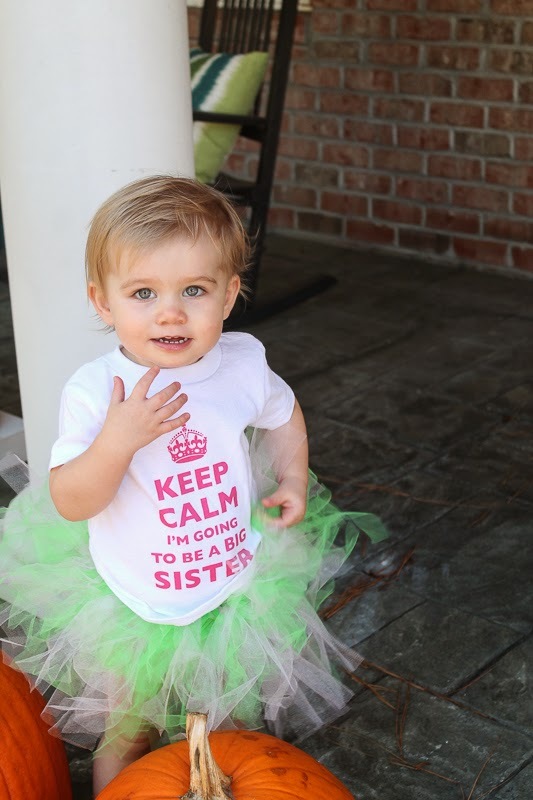 And I know G is going to be the very best big sister. She is such a loving child already, always sharing her "baba" (aka sippy cup of milk) with her animals and giving them kisses before night night. Her new favorite word is "cozy" and that is code for cuddle time, under a blanket with mommy or daddy. Yay!!!! Congrats Denise! I am so excited for you!!! Congrats!! I feel ya on the being sick thing! I'm 19 weeks and had another bout of sickness the other night. Ugh! I can't wait for all your preggy posts! And yaaay for July babies! They are just the best! Obviously, I'm biased :) So excited for y'all! yay yay yay sooo excited!!!! love you friend!!! !